Indiana State University is considering relaxing its in-state residency policy for military veterans. The university's governing board on Friday heard a proposal allowing veterans, spouses and dependent children who take up residence in Indiana to pay in-state tuition regardless of prior residency. "Our current residence policy already recognizes and rewards all full-time, active military personnel by granting them immediate residency for fee-payment purposes," said John Beacon, vice president for enrollment management, marketing and communications. "This proposal is a way for us to show our appreciation and say thank you to all honorably discharged veterans by waiving the normal one-year waiting period required to establish residency for fee-payment purposes at Indiana State University." The policy would cover veterans who have been on active duty for at least one year or those receiving an honorable medical discharge. It would also cover dependents of veterans killed or missing in action or who are or have been prisoners of war. Trustees took the proposal under consideration pending public comment, with action expected at their May meeting. Indiana State has a variety of initiatives in place to assist student veterans, Beacon noted. The campus has a Veterans Resource Center to provide information about benefits and resources as well as a place for camaraderie and relaxation. The university also has a veteran's services coordinator to help returning servicemen and women apply for benefits, and the Bayh College of Education provides counseling services to veterans and their families. With the Bayh College and the Scott College of Business settled into new homes, trustees Friday approved plans for the demolition of their former homes - 15-story twin towers constructed in 1968 as residence halls. The board authorized the university's president and treasurer to seek state approval to demolish Statesman Towers at a cost not to exceed $4 million. Schmidt and Associates, an architectural firm, is working with university officials to determine the best, safest and most cost-effective way to demolish the towers, said Diann McKee, vice president for business affairs and finance. Where possible, materials from the building will be recycled before the demolition takes place, including metal, doors and electrical items, McKee said. Other items to be recycled include furniture and more than 600 window air-conditioners. Statesman Towers housed the colleges of business and education for about 30 years, but both colleges now serve students in three-story 1930s-era buildings that were renovated to be both more energy efficient and provide a more educationally friendly atmosphere. Trustees also approved new or revised policies assuring "whistleblower" protection for faculty and staff that make good faith efforts to report wrongdoing; clarifying what constitutes prohibited weapons on campus; protecting minors participating in university programs and programs operated on campus by third parties; and revamping procedures for the proposal and adoption of new or revised policies. · Approved seeking bids for the sale of three tracts of surplus university-owned property north of the campus in the 800 block of N. Eighth Street and the 800 block of N. Ninth Street. 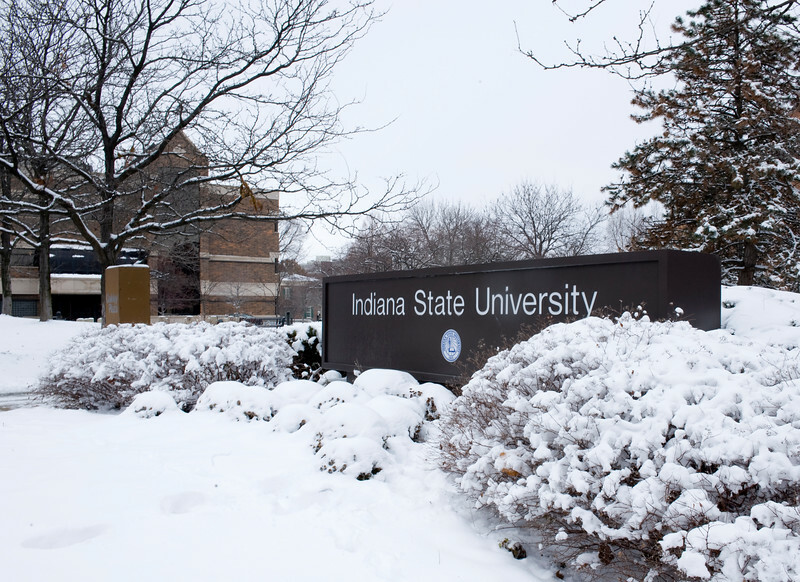 Indiana State University is considering relaxing its in-state residency policy for military veterans by waiving the standard one-year residency requirement for in-state tuition.